Today in R&B 5 years ago K-Michelle dropped her debut album titled “Rebellious Soul” released by Atlantic Records. “I Just Wanna” was released as her official attention single for the promotion of the album. 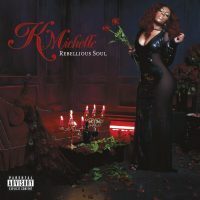 On July 15, 2013, Michelle revealed the album cover artwork for Rebellious Soul. Which she posed with her famous red hair, black dress that showed her curves, while standing in a room with rose petals and lit candles. The cover gives you a since of seduction in an elegant way. 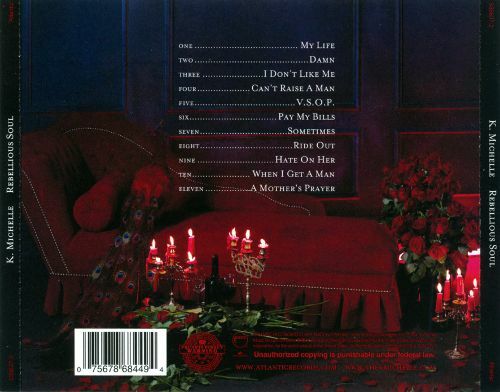 The album’s two hit singles titles “V.S.O.P.” and “Can’t Raise A Man” both hit the Billboard Hot R&B Charts. By the end of August 2013, the album debuted at number 2 on the Billboard 200 and number one on the Top R&B/Hip-Hop Albums charts, with first-week sales of 72,000 copies in the United States. In its second week the album dropped 12 places to number 14. The album spent 14 consecutive weeks before dropping out of the Billboard Hot 200 Chart on the last week ending November 2013. By 2016 the album has sold over 350,000 copies. From then K Michelle took the album on tour entitled “Rebellious Soul Tour” which included touring 19 tours. Since then K- Michelle released 3 more albums. “Anybody Wanna Buy A Heart” (2014), “More Issues Than Vogue” (2016), “Kimberly: The People That I Use To Know” (2017). 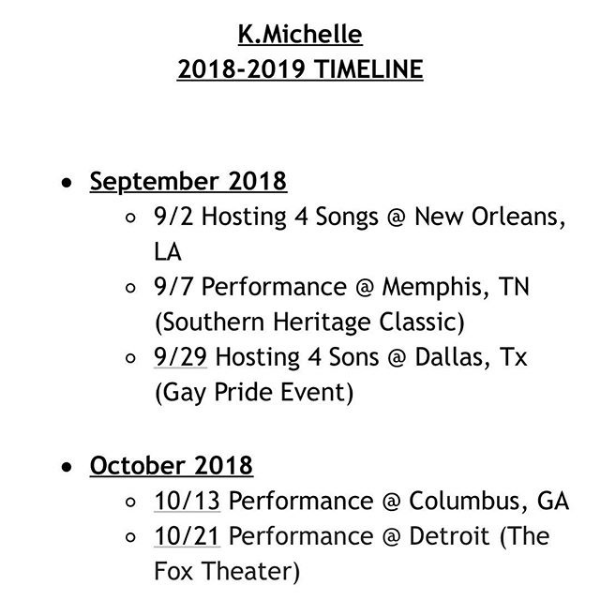 Just recently K Michelle announced on her Instagram that she was going to make an appearance in a couple cities coming in September and October of this year. Her fans have missed her so maybe these performances will be something to promote some new work she’s been up to. Well at least its a hope. Michelle is known for her music relating to real life love and heartbreak stories. Ladies when you want to be in your feelings or just want some music that you can relate you K Michelle is the way to go. Stay Tune and Catch K Michelle possibly in a city near you. What Is Your Favorite Song Off Of “Rebellious Soul”?